During the summer and autumn 1940, on a damp little island, a battle was fought that changed the course of the world. For more than four months, the outnumbered British forces fought a technically superior and battle trained enemy that had rolled over the rest of Europe in a matter of months. At stake was nothing less than the fate of the world, and in one of the most incredible cases of heroism and bravery known to the world, the British not only held their ground, they pushed back the Nazi’s Luftwaffe. Pretty awesome stuff. 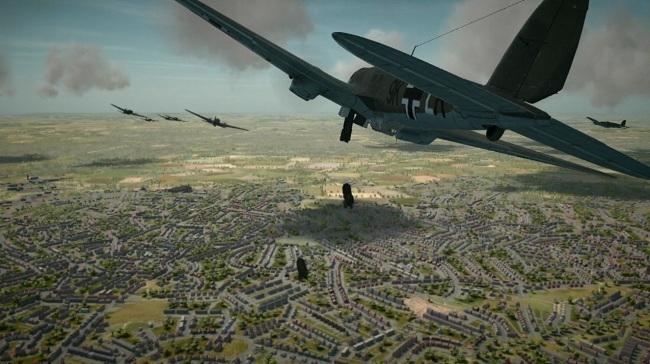 In the upcoming Il-2 Sturmovik: Cliffs of Dover, you take to the air during the Battle of Britain in a game that developer 1C: Maddox Games is considering a spiritual successor to Il-2 Sturmovik 1946. The game features over two dozen Allied and Axis aircraft, and a staggering 128-player online battles. Il-2 Sturmovik: Cliffs of Dover is already available in Europe, but check out the trailer and look for it to hit American shores on April 19.